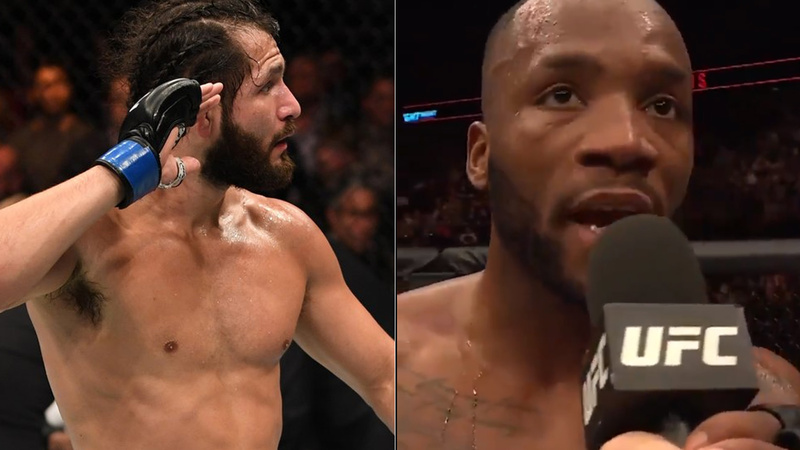 Jorge Masvidal and Leon Edwards made headlines last night (Sat, March 16, 2019) with a backstage altercation at UFC London. “Gamebred” who picked up a spectacular KO win over Darren Till in the main headline, but after his scintillating victory he broke his post-fight interview and got physical with Leon Edwards, who was also emerged victorious via a split-decision win over Gunnar Nelson in the co-main event. Edwards suffered a severe facial laceration during a melee, but he seems doesn’t bother about this whole thing as he won’t press charges against Masvidal. Masvidal already gave his side of the story why he trades punches with ‘hooligan’ Edwards. Earlier on Sunday, Edwards took to Instagram and offered some strong words to Masvidal. Edwards sure does deserve a big fight as he picked up the seventh straight win in the UFC last night. Masvidal might fit well as he also scores the biggest win of his career. After last night’s altercation, this feud seems far from done deal. See what Edwards has to say about his recent win. What’s next Edwards is unknown but who wants to see Masvidal vs. Leon next if UFC book this fight?